Matrix Games - Woken and alexrus will face each other for the title of Panzer Corps champion! 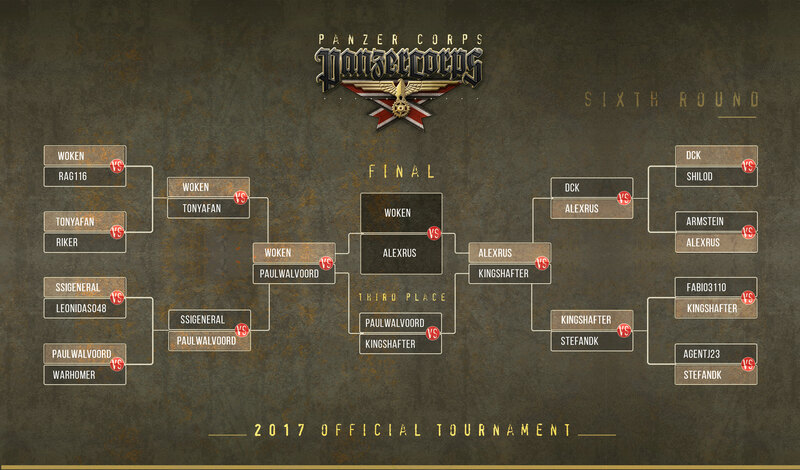 Back to News Listing Woken and alexrus will face each other for the title of Panzer Corps champion! Woken and Alexrus will face each other for the title of champion, while Paulwalvoord and Kingshafter are going to fight for the third place! It's been a blast for us to follow you intrepid generals, and we're eager to see who will become the 2017 champion! Good luck, commanders!